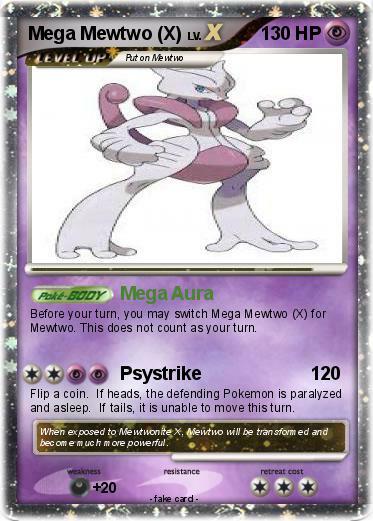 Before your turn, you may switch Mega Mewtwo (X) for Mewtwo. This does not count as your turn. Flip a coin. If heads, the defending Pokemon is paralyzed and asleep. If tails, it is unable to move this turn. Comments : When exposed to Mewtwonite X, Mewtwo will be transformed and become much more powerful.